Insert Knives – Quick and Competitively Priced! GUHDO manufactures carbide insert knives on state-of-the-art profile grinding equipment which guarantees repeatability and accuracy every time! Our carbide blanks are available in a variety of carbide grades, some designed for solid woods and others better for composites. 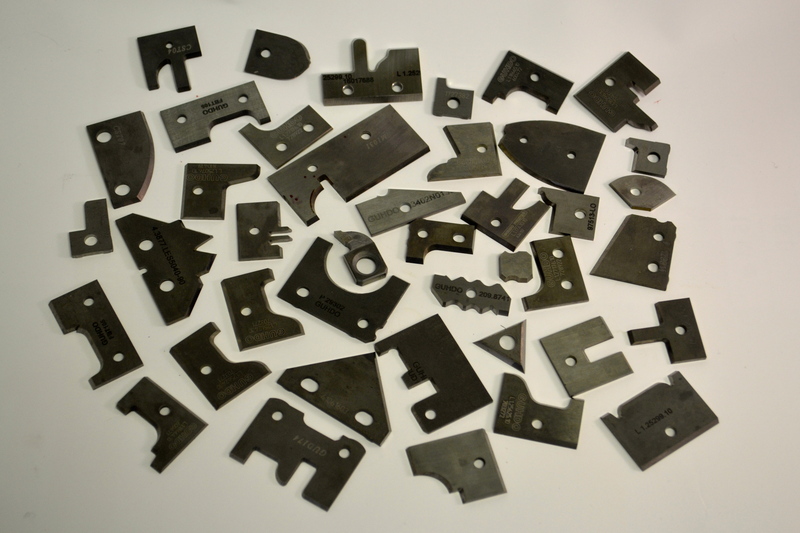 Choosing the right grade can impact tool life and finish so be sure to mention what material you are cutting and allow us to use our 30 years of expertise to optimize your tool life. Whether you’re producing complex moulding profiles, simple round-overs, cope and stick, raised panel, tongue and groove profiles, or, if your cutterhead manufacturer has gone out of business (LRH, DeHart Tooling etc. ), GUHDO will duplicate the inserts you need! For the right edgebander replacement inserts, or for ones that you are having difficulty finding, simply contact us or give us a call at 800-544-8436. Posted in CNC Router Tooling, Insert Knives | Comments Off on Insert Knives – Quick and Competitively Priced! DeHart and LHR Inserts Available! If you are looking for DeHart or LHR tooling look no further! GUHDO can provide replacement insert knives for cutters made by DeHart Tooling or LRH as both companies have discontinued operation so replacements are challenging to find. We can duplicate and deliver replacement inserts quickly and accurately, probably for less than what they cost before! Interested? Contact us or give us a call at 1-800-544-8436 and we are happy to help. Among the advantages of insert cutters is also the fact that they are very well-balanced and remain well-balanced throughout their life span. As long as no sharpening is done to the inserts, there are no weight changes, allowing for consistent cuts. This effect yields a cutter that can operate at higher RPM’s than most traditional cutters. The net advantage here is that although work loads per knife may be less, feed rates can be achieved with higher spindle speeds. One can also quickly notice less bearing fatigue due to the balance of the tool. 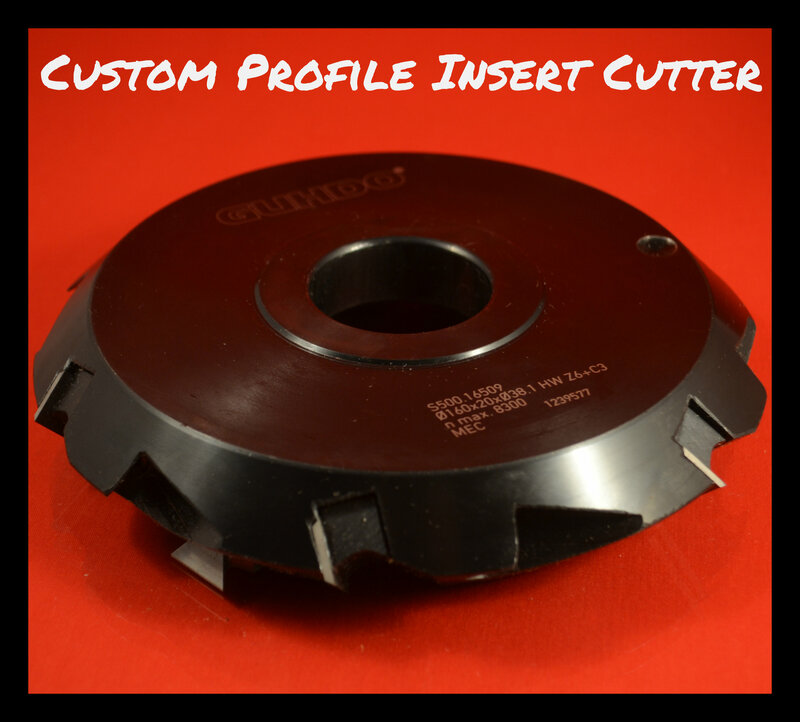 Contrary to earlier cutters, that only used straight knives, nowadays “custom profiled” cutter inserts are available. Some of the best examples in which custom profiles find great use are matching stile and rail cutters, corner miter joins. 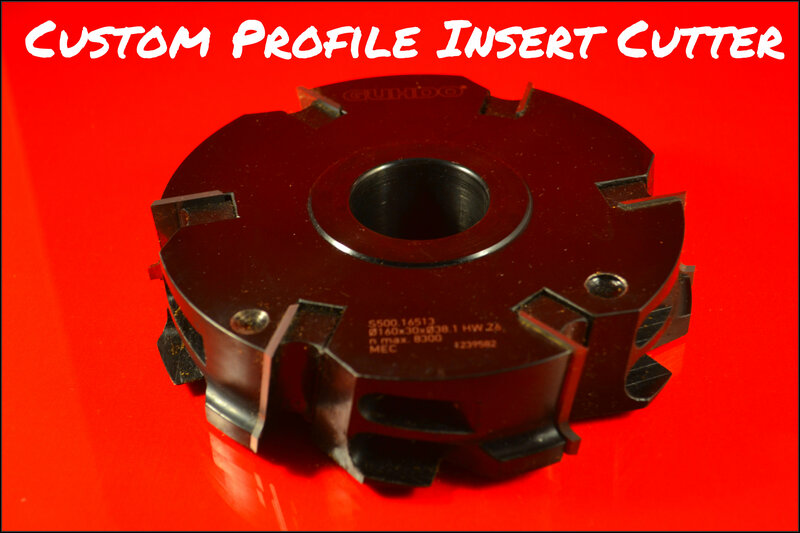 Using Insert cutters is especially beneficial because of the custom tool’s profile integrity. 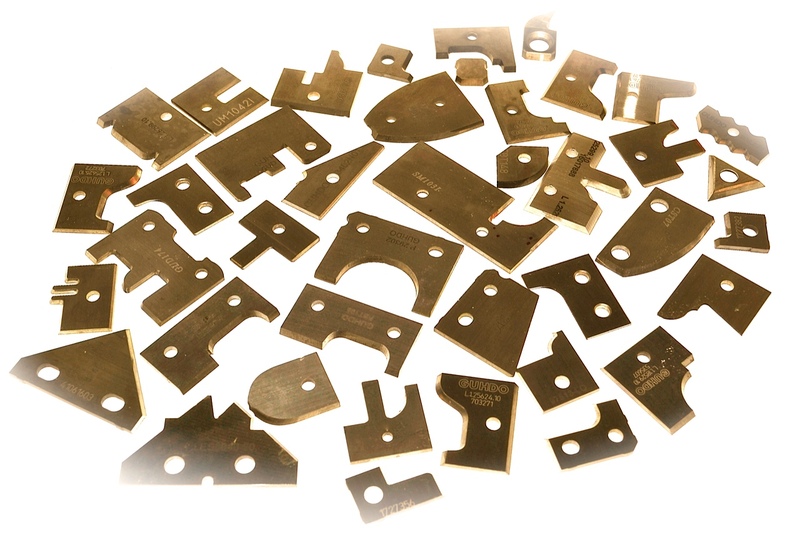 The cost justification of insert cutters does not lie with the cutting tool user that only produces elaborate profiles for few production runs. However the advantages do become apparent to the manufacturer who has long production runs and sophisticated multi-spindle machines. Many insert cutters are now adaptable in width, making them more adaptable to multiple applications. All insert type cutters remain perfectly balanced and the cutting circle does not change. 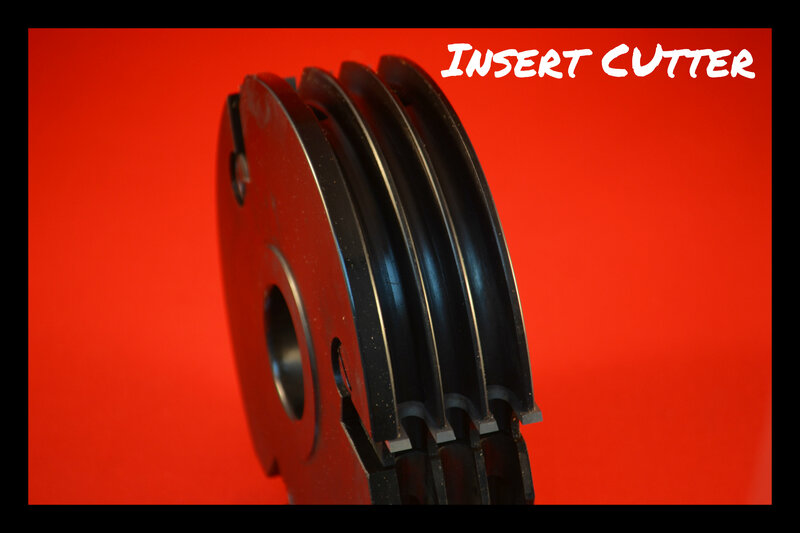 Another advantage insert cutters provide is the fact that they can be serviced on the machine, hereby further reducing machine downtime. In many instances the insert cutters are less expensive than the sharpening of traditional carbide tipped tools. Over the past 20 years, disposable cutter knives have proven themselves as precise, safe and cost-effective. With their established position especially when it comes to use on CNC machines, insert cutters are sure to evolve further and finding application in even more processes.